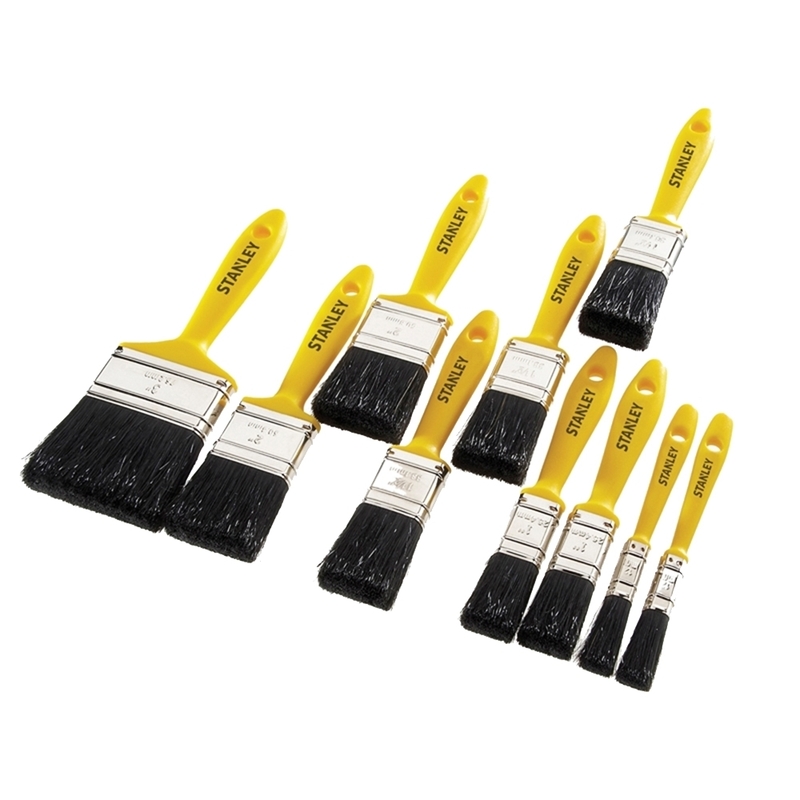 This Stanley Hobby Paint Brush Set contains everything you need in 1 complete set of pure bristle paint brushes. You can get all the odd jobs around the house done in no time with this set, from the smallest 12mm (1/2in) for around window frames, dado rails etc. to the largest 75mm (3in) for doors, small wall areas or cupboard doors giving them a new lease of life. 2 x 12mm (1/2in) Brushes. 2 x 25mm (1in) Brushes. 3 x 38mm (1.1/2in) Brushes. 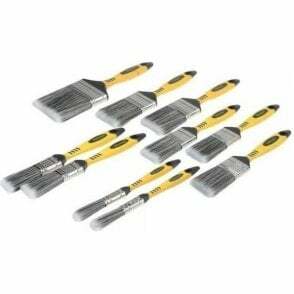 2 x 50mm (2in) Brushes. 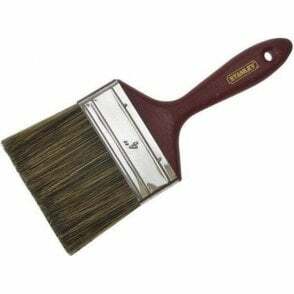 1 x 75mm (3in) Brush.